Create customer personas – Keeping customers requires a deep understanding of their long-term needs. That’s a lot easier when you have individuals in mind rather than a collection of demographic data. Use information from your website analytics, customer surveys and interviews with customers to develop a fictitious model customer for each segment of your customer base. When you focus on these individuals, your marketing naturally becomes more personable and relevant. Watch for patterns – Maintain a database of your communications with customers. You’ll notice certain questions and requests come up again and again. These help you find points during the buying cycle where your customers could use extra support. 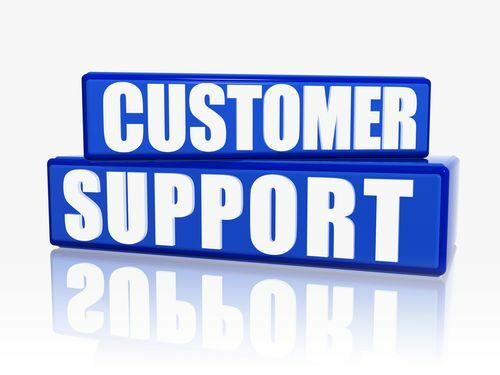 Adding that support could keep customers from leaving in confusion or frustration. Tracking requests for products and services also highlights gaps in your offerings. Reach out – Take the initiative to help your customers thrive. Let them know about new information or events they might find useful. You’ll be showing your customers you understand their needs and truly care about their success. If you’re a B2B company, aim to become your customers’ customer or refer business to them. Get more from your email – Instead of sending your whole list generic content, create personalized email campaigns that provide content based on each recipient’s purchase history, preferences and demographics. Carefully track your click-throughs to improve your targeting even more. Show your appreciation – Post-purchase thank-you cards show your appreciation and build rapport that’s essential for keeping customers. They also give you a chance to up-sell and request referrals. To make sure you don’t leave anyone out, get a system in place that automatically sends thank-you cards at pre-determined points during the purchase cycle. Are you using any of these strategies to keep your best customers around? If not, which would you consider trying? Pingback: Customer Loyalty: How to Build Emotional Bonds | Continuity Programs Inc.